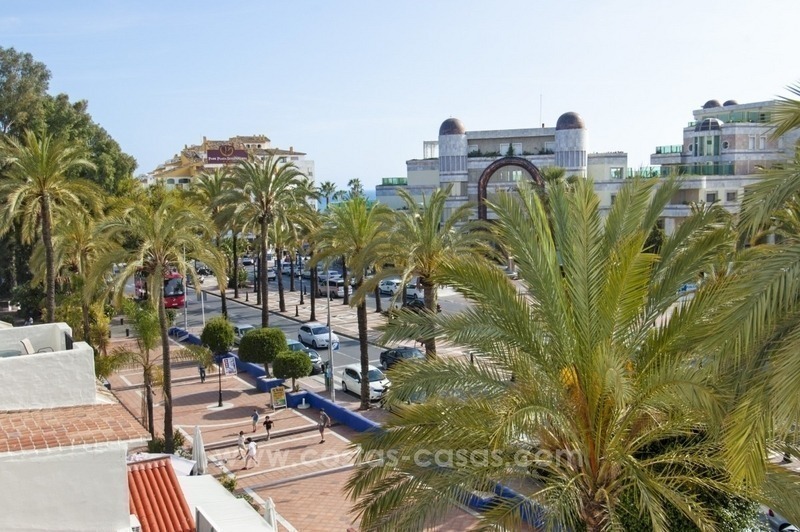 Studio apartment for sale in a beachfront complex in Puerto Banus - Marbella Direct access to the renovated pedestrian promenade to Puerto Banus. Works are in progress connecting it to the beach promenade of San Pedro. 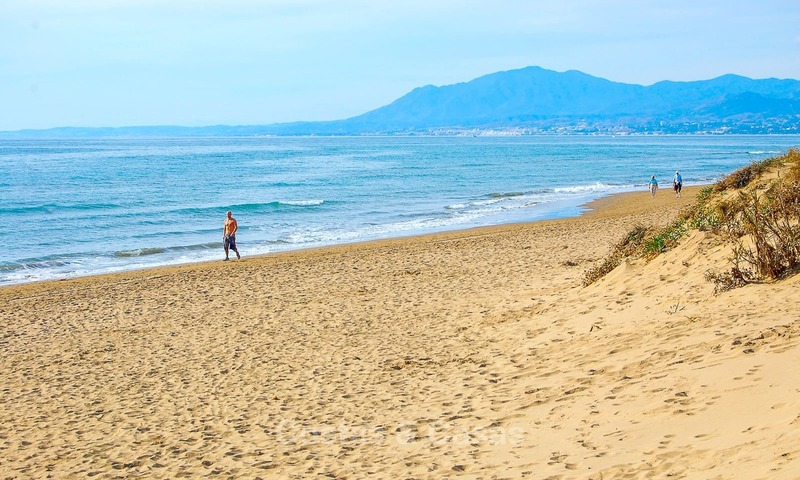 At a stone’s throw of the beach and the famous Ocean Beach Club and Buddha Beach At only a short walk to the harbour and central Puerto Banus and the closest supermarket At the promenade and beach located complex built in an Andalusian style. 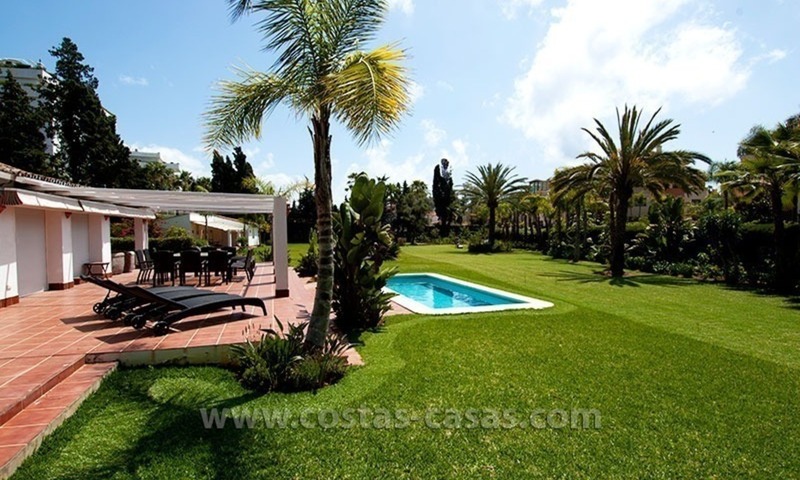 Large communal garden with many pine trees and 2 swimming pools. The complex has 24h.security. The studio is renovated, has a modern kitchenette, separate bathroom and a small balcony from where view to the promenade, sea and mountains. Garage and storage This studio has due to its location excellent rental potential. 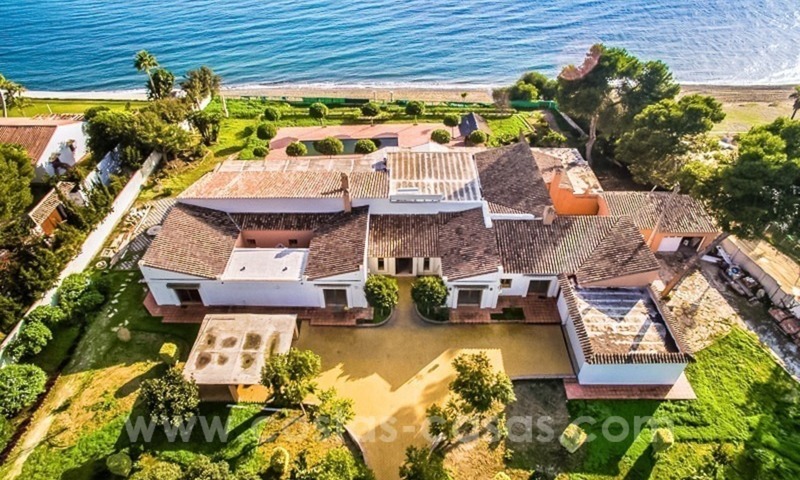 The owner can arrange a bank mortgage of +/- 190.000€ if desired. 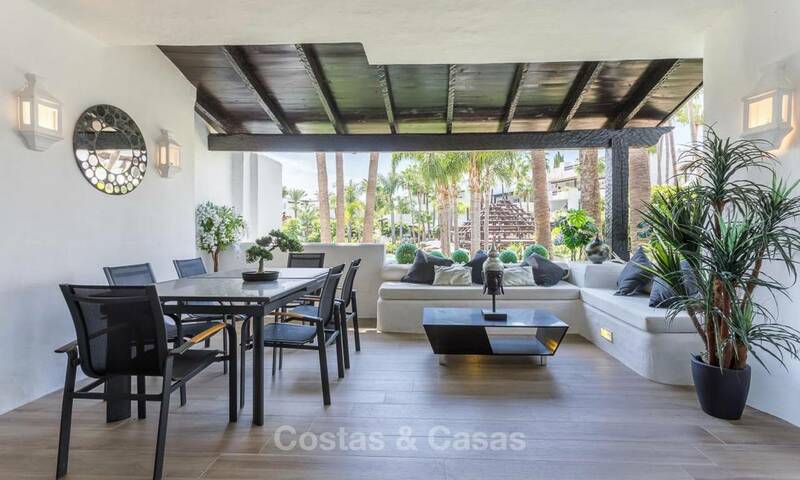 Spacious luxury apartment for sale in Nueva Andalucía very near to Puerto Banús in Marbella Luxury small complex set within walking distance to all kind of amenities and the main restaurants and beach bars in Puerto Banús – Nueva Andalucía – Marbella and close to the renowned golf courses in the area. The gated complex is kept in an immaculate condition, has well-manicured lush sub-tropical gardens, 1 swimming pool and 24h.security. Views to the communal pool, the garden and the green area. South orientation to have sun all day long. 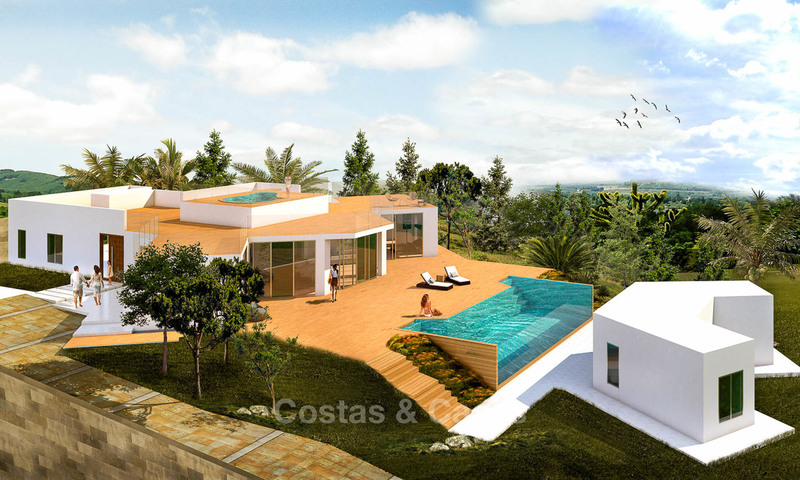 Ample accommodation inside with 130 m2 plus a terrace of 18 m2. 2 bedrooms, 2 bathrooms, of which 1 is en-suite. The master bedroom has an en-suite bathroom and all this with exit to the terrace. 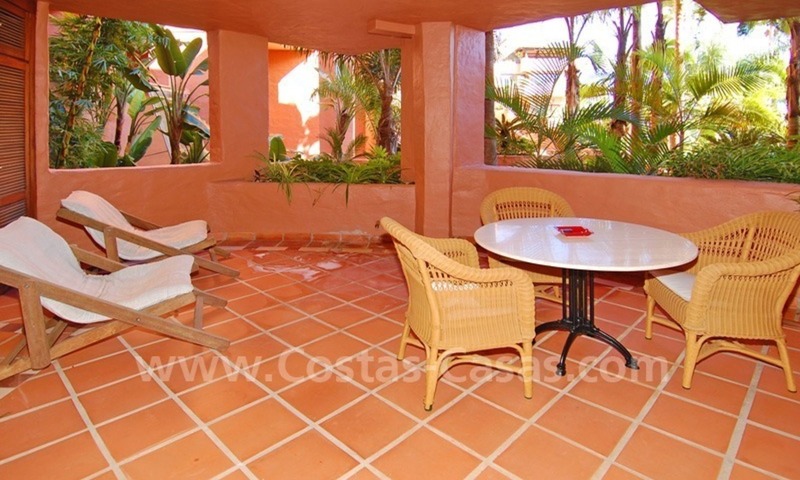 The apartment has an ample living-room with separate dining room that leads us to the main terrace. Kitchen fully furnished and fitted with all the appliances. Other features: Sunny large covered terrace. View to the stunning water features, gardens and pool. Air conditioning hot & cold. CCTV system in the urbanization. Satellite TV. Electrical roller blinds. Laundry room. Underground parking space. Big storage room.